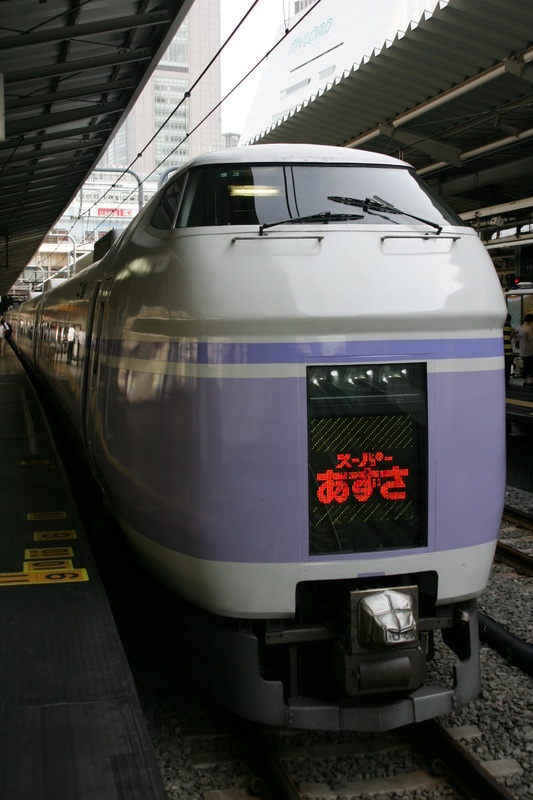 The E351 Series was developed in the early 90's to replace the aging fleet of 183 Series trains developed by JR's predecessor, the Japanese National Railways (JNR). What makes this train special is its ability to tilt to counteract the effects of gravity trying to pull it towards the outside of a curve. This allows the E351 Series to speed through the mountainous terrain of the Chuo-Main Line. It uses a much more advanced version of the tilting system developed by the JNR and used in the 381 Series train during the 1970's. 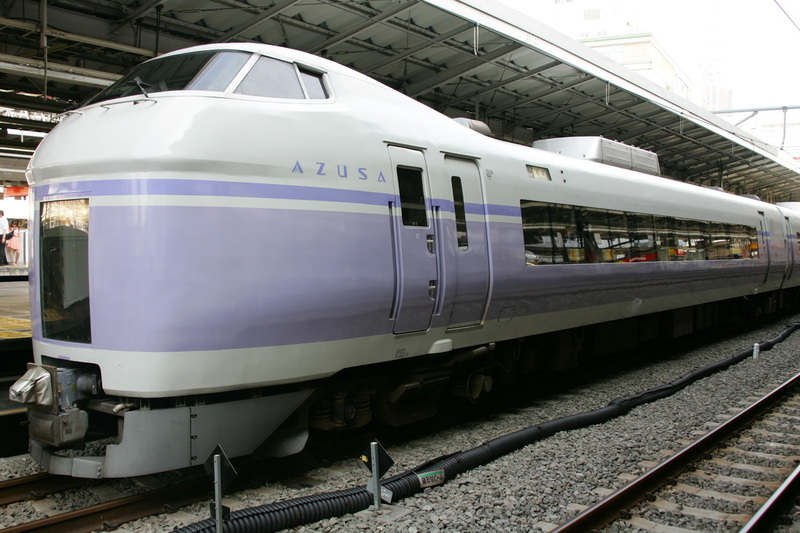 It mainly runs as the Super Azusa, a limited express that connects Shinjuku station in Tokyo with Matsumoto station in Nagano Prefecture. The train proved to be expensive to mass produce and only five full formations were built. The Super Azusa runs as an 8 + 4 car train with cabs at both ends of each set. Up until 2010, the train would split at Matsumoto station with one end heading towards the Japan sea on the Oito line. after the E351 by JR East have an E before the number to differentiate them from trains developed by the JNR or other JRs.